Joyful hullabaloo greets visitors to Acadian Festival! Caraquet, N.B. Bon Tintamarre! What was that? I couldn't hear what you said. I said, "Bon Tinta... Oh, never mind." You might as well give up. There's no use trying to talk during Tintamarre (pronounced tantamar). It's a "grand bruit discordant," says Le Petit Robert French dictionary. A big ugly noise would be a fair translation. Up here, it's an ear-splitting, joyful hullabaloo that erupts on the main street every August 15, the national day for Acadians. Thousands flock to the north shore community of Caraquet from all over the Maritimes and from Quebec to add to the clangour. Cajuns come up from Louisiana, that's how big an occasion it is, and there are RV's from Ontario. For one deafening hour, everyone raucously ambles up and down the middle of the road--- up and down, up and down--- celebrating being Acadian. If you're not Acadian, it doesn't matter. It's August 15 et tout le monde est Acadien. Women ring bells, kids with painted face and puffed cheeks force noise from metre-long plastic horns, schoolteachers clap wooden spoons together, a fisherman lets rip with an electric siren, drummers who were strangers when the parade started drum an hypnotic rhythm together with teenagers rush home to fetch their skins and join in. Many are costumed in the Acadian flag, a tricolour with a gold star--- Stella Maris--- imprinted on the blue bar. A blue goat and a red goat, dyed with KoolAid, have been brought along from Les Blancs d'Arcadie goat farm and flank a white goat in the parade. The local MLA, a former provincial cabinet minister and his family, are dressed as skunks. Les moufettes, in French, for that is the family nickname. They pull a string to lift their tails and squeeze a bulb to squirt water on the bystanders. Most local families here have nicknames and there are families done up as frogs, giraffes, clams (with a Department of Fisheries officer who measures them to ensure they're of regulation size) and as minstrels masked in cut-off black pantyhose. People profess not to know how how the nicknames originated. There's even a family known as Les Petteurs (The Farters), but they're not drawing attention to themselves. "We've always made noise," says New Brunswick Tourism officer Percy Mallet, who's fro near Shippagan. "In the past we did it to scare away animals and if you weren't invited to a local wedding feast, you'd stand outside the house and make a lot of noise to let them know you weren't pleased." Now it's an annual celebration of all things Acadian, the climax to a week-long fête. But there's celebrating all along New Brunswick's Acadian Trail. It stretches from the border with Nova Scotia on the south, up along the east coast to the Acadian Peninsula and Caraquet and west along Baie des Chaleurs to Bathurst, winding up in Charlo close to Dalhousie and Campbellton, where a bridge crosses over to the Gaspé. The trail is one of New Brunswick's most popular tourist routes. And no wonder. At any time during the year, there's always something going on, from the "Winternationals" snowmobile drag races in Bathurst--- setting speed records because they're at sea level on a mix of frozen fresh and sea water--- to the music competitions, summertime dinner theatre based on the works of prize-winning Acadian novelist Antonine Maillet, to lobster-eating classes, canoeing to a colony of grey seals that howl like wolves, to a rock 'n' roll weekend in Miramichi and even a festival dedicated to peat moss. "Tourists just used to drive through New Brunswick, to get to the other Atlantic Provinces," says Martha Chapman, spokesperson for Signature Vacations, which has holiday packages there. "But now it has become an attraction in itself--- for the history buff, the golfer, gourmet or eco-tourist. And for the family." The history buff would do well to start at Memramcook, some 20 km south of Moncton, even though it's not officially on the Acadian Trail. It's here that, in 1864 the Catholic priest Camille Lefebvre founded Saint Joseph's College, the first French-language degree-granting institution in the Maritimes. And it was here that the first Acadian national congress was held in 1881 and August 15, Assumption Day, was chosen as the Acadian national day that's now marked with so much noise. There's also the Acadian Odyssey National Historic Site, which traces the arrival of the French in North America (Jacques Cartier's first landfall in 1534, was on the island of Miscou, home of the peat moss festival), the deportation of the Acadians from Nova Scotia by the British beginning in 1755, and their settlement in New Brunswick, since. There are now some 3 million Acadians around the world and 30 per cent of New Brunswick's population considers itself of Acadian descent. The Odyssey shows how they settled and land, and helps trace family histories. It's only a 15-minute drive to Shediac, home of the world's largest lobster (oh, all right, it's a sculpture in metal) and the annual lobster festival in July. The sand of Parlee Beach Provincial Park is hot and the sea is warm. At Bouctouche, birthplace of billionaire industrialist K.C. Irving, 12 km of white sand dunes have been reclaimed from the ravages of ATV's at the Irving Eco-Centre, and you can walk among them, along two km of winding boardwalk. Bouctouche is also the home of author Antonine Maillet and Le Pays de la Sagouine, a theme park devoted to the fictitious local characters she created and the 1950's fishing village in which they lived. Actors in character mingle with tourists throughout the day and perform on-stage in the dinner theatre at night, sometimes with Maillet herself in the audience [she was in attendance when Judy and I visited the area in 1998]. The show and the food are authentic Acadian fare. Rangers at Kouchibougouac Provincial Park will take you out in a voyageur canoe, to the howling seals which, from afar, sound like a plague of high-power jet-boats. The canoe must stay 100 metres off, but curious seals bob about and stare at the tourists. As well as its rock 'n' roll weekend, Miramichi boasts Canada's largest Irish Festival in July and a Fiddlers Weekend and the Miramichi Folk Song Festival, in August. You mustn't miss Miscou at the northern tip of the Acadian Trail. It's a lovely little island, much of it peat moss being harvested, and it has a 24.5 metre-high wooden lighthouse (where scrumptious home-made chocolate is sold) and an intriguing story from 1939, of a lost Soviet plane on its way from Moscow, to New York. Its control panel froze and the pilot made a soft crash-landing in the peat moss, on Miscou. Three local people, spent 28 hours getting to the plane through bog. Neither crewmen was hurt. They stayed for about a week. On the way to Caraquet and the nearby Acadian Historical Village, drop in at the Aquarium and Marine Centre in Shippagan, where you can watch seals play, dip your fingers in the touch pool and see live, blue lobsters. Yes, they're bright blue. The village has Acadian settlers' homes that have been moved to the site, as well as stores and restaurants and a tavern, with interpreters manning them in clothing of the 18th and 19th centuries and doing their best to emulate the work and daily life of the times. A $3.5 million expansion brought in buildings that date up to 1937, one of them a copy of a hotel built in Caraquet in 1907 that opened to guests in 2001. About 100,000 tourists visit the village each year, some 10,000 of them during the second week of August, when it becomes one glorious Acadian hootenanny... Bon Tintamarre. The above-noted article is re-printed (with thanks) from the Toronto Star (Toronto, Ontario, Canada). It was written by Michael Hanlon and appeared in the June 16, 2001 issue of the Star. Tintamarre is an Acadian tradition of marching through one's community making noise with improvised instruments and other noisemakers, usually in celebration of National Acadian Day. The term originates from the Acadian French word meaning "clangour" or "din". The practice is intended to demonstrate the vitality and solidarity of Acadian society, and to remind others of the presence of Acadians. Tintamarre is a recent Acadian tradition, originating in the mid-20th century, although it is believed to have been inspired by the ancient French folk custom of Charivari*. In 1955, during the commemorations of the 200th anniversary of the Expulsion of the Acadians, the Archbishop of Moncton, Norbert Robichaud, circulated an instruction sheet for the marking of the event. He advised families to kneel in outdoor prayer once the church bells began to ring, and he wrote: Une fois la prière terminée, on fera pendant plusieurs minutes, un joyeux tintamarre de tout ce qui peut crier, sonner et faire du bruit: sifflets de moulin, klaxons d'automobiles, clochettes de bicyclettes, criards, jouets, etc. ("Once the prayer is finished, there will be a joyful tintamarre lasting for several minutes, featuring anything, everything and everyone that can make noise, shout and ring: mill whistles, car horns, bicycle bells, squawking objects, toys, etc."). Charivari* (or shivaree or chivaree, also called "rough music") is the term for a French folk custom in which the community gave a noisy, discordant mock serenade, also pounding on pots and pans, at the home of newlyweds. The loud, public ritual evolved to a form of social coercion, for instance, to force an as-yet-unmarried couple to wed. This type of social custom arose independently in many rural village societies, for instance also in England, Italy, and Germany, where it was part of the web of social practices by which the small communities enforced their standards. The community used noisemaking and parades to demonstrate disapproval, most commonly of "unnatural" marriages and remarriages, such as a union between an older widower man and much younger woman, or the too early re-marriage by a widow or widower. Villages also used charivari in cases of adulterous relationships, wife beaters, and unwed mothers. In some cases, the community disapproved of any remarriage by older widows or widowers. Charivari is the original French word, and in Canada it is used by both English and French speakers. Chivaree became the common spelling in Ontario, Canada. In the United States, the term shivaree is more common. Members of a village would decide on a meeting place where everyone could plan what was to be done. Those who were to initiate the charivari used word-of-mouth to summon the largest possible crowd to participate, with women helping to organize and lead. After forming their plan, the charivari group would usually process by foot to the home of those they were acting against, make as much noise as possible with makeshift instruments and loud songs, and begin their assigned actions. 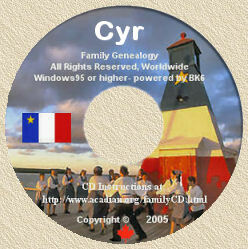 In 1979, the Société Nationale des Acadiens sought to revive the Tintamarre for the celebrations in Caraquet, New Brunswick of the 375th anniversary of the founding of Acadia. Organizers urged celebrants to reaffirm their Acadian identity loudly and clearly, so as to emphasize the slogan of the celebrations: on est venus c'est pour rester ("We've come back and we're here to stay"). In 1980, although there were no official efforts to organize any noisemaking, spontaneous Tintamarres were reported in Caraquet and in other Acadian communities in New Brunswick. By 1984, there were discussions in area newspapers of holding "traditional Tintamarres" to celebrate the 100th anniversary of the Flag of Acadia, even though the "tradition" was only a few years old. The Tintamarre in Caraquet, New Brunswick in 2009 along with the Acadian flag and the hymn Ave Maris Stella; the Tintamarre is widely recognized as an Acadian symbol. Notwithstanding the recent vintage of the practice, it has become an important part of National Acadian Day celebrations and of any other events affirming Acadian identity and accomplishments. In 2006, a Tintamarre was held to help innaugurate a new medical training program at the Université de Moncton; when asked why noisemaking had been included in an academic event, organizers explained that the Tintamarre was "an essential Acadian custom".